As communication technology develops, people have access to more information than ever before, literally at their fingertips. But how many of us can say that we are truly well informed? Headlines tend to paint a bleak picture of our world: conflict, terrorism, hunger, climate change, social injustice – the list goes on. We are indeed facing complex and seemingly insurmountable challenges. Yet the full picture also offers solutions and reasons for hope. In 2015, 193 countries agreed to work toward the UN Sustainable Development Goals. An ambitious plan to guide global development until 2030, the goals are a call to action to end poverty, protect the planet, establish peace, and ensure prosperous, fulfilling lives for all. They can only be achieved if people everywhere – governments, the private sector, civil society – embrace them. Around the world, there is a growing grassroots movement to support the Sustainable Development Goals. Brilliant, innovative women and men are finding local solutions to global problems, helping to build a better society and economy for all. These entrepreneurs inspire others to replicate their solutions to issues such as health care, quality education, decent employment, clean energy and access to water. A drive for positive change is gaining momentum. More and more people are working to help social entrepreneurs have a larger echo by supporting positive impact finance or investing in them and accelerating their approaches (such as the Skoll Foundation, Ashoka, Impact Hub, the One Young World Summit etc). These growing initiatives also find a way to scale up by developing connections with traditional businesses. And in turn, their disruptive and impact oriented approach help transform big corporations by inspiring more virtuous business models and products. The news media can play a vital role in highlighting and spreading stories about innovative changemakers across borders. 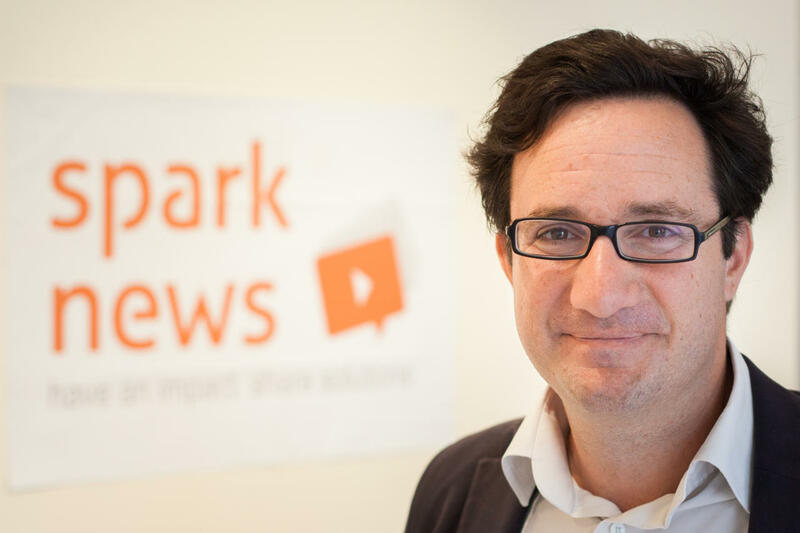 For the past six years, Sparknews has invited media from all over the world to take part in Impact Journalism Day, joining forces to publish articles about positive initiatives in special supplements or online reports, reaching 120 million people on the same day. Many of these media have now started to include solutions-oriented stories in their day-to-day coverage. You, too, can participate in helping these projects to scale up and have even more impact. Share the stories that impress you the most on Facebook and Twitter (#ImpactJournalism, #StoryOfChange, @Sparknews, @AzerNewsNewspaper). We can all take part in writing the future of our global story.